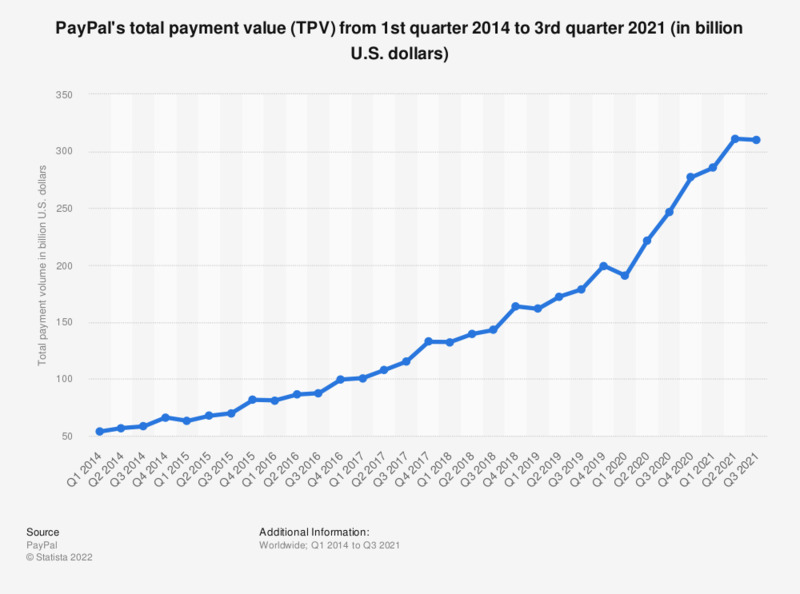 This statistic shows PayPal's total net payment volume from the first quarter of 2014 to the fourth quarter of 2018. In the last reported quarter, the company's net payment volume amounted to 163 billion U.S. dollars, representing an 23 percent year-on-year growth. This payment volume was generated through the 2.8 billion transactions which PayPal processed during that quarter. In 2017, the payment provider's annual payment volume amounted to 578 billion U.S. dollars. Total Payment Volume or TPV is the value of payments, net of payment reversals, successfully completed through Payments Platform, excluding transactions processed through our gateway products.